"Excellent tour though a bit pricey. Excursions alone were $2000 Australian dollars..."
"Colleen was a very knowledgeable and accommodating guide, as were the specialist..."
"The trip was all I expected an much more. I don't usually sign up for bus tours and..."
"I had a blast! 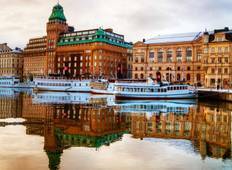 The pace was fast, but it was a great overview of the Scandinavian..."
"This was a superb way to see three countries within 12 days. Although some bus trip..."
"Great tour, good for people looking for a more relaxed, older Contiki demographic...."
"We had amazing time on this tour. All hotels were great and and exceeded our expections..."
"Great experience! More than we expected. Our guide was very knowledgable about all..."
"Excellent tour, which met my expectations to have an overview of Scandinavia. 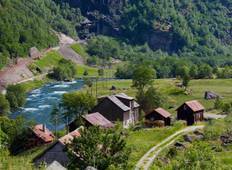 Norway..."
"We had a great time joining the Expat Explore tour. The accomodations were great,..."